Rapper Wiz Khalifa was born Cameron Jibril Thomaz on September 8, 1987 in North Dakota. With both parents in the military, Wiz Khalifa grew up overseas and eventually in Pennsylvania. In the mid-2000's while Wiz Khalifa was still a teen, he began to get attention for his raps and mixtape contributions. By 2005, Wiz Khalifa released his first mixtape Prince Of The City: Welcome To Pistolvania. In 2007, Wiz Khalifa signed to Warner Bros. Records while continuing to release more mixtapes including Grow Season and Prince Of The City 2. Wiz Khalifa left Warner Bros. in 2009 and signed with Atlantic Records the following year. September 8: Wiz Khalifa was born. September 5: Wiz Khalifa independently released Show And Prove (available for download at iTunes and Amazon-mp3). November 20: Wiz Khalifa released the mix-tape Prince Of The City 2. Wiz Khalifa's first official single "Say Yeah" hit the rap charts. April 17: Wiz Khalifa released the mix-tape Flight School. November 24: Wiz Khalifa independently released Deal Or No Deal (available for download at iTunes and Amazon-mp3). December 18: Wiz Khalifa topped the Billboard Rap Digital Songs chart for 9 weeks with "Black & Yellow." December 18: Wiz Khalifa hit the ARC Weekly Top 40 with "Black & Yellow." January 22: Wiz Khalifa topped the Billboard R&B/Hip-Hop Digital Songs chart for 5 weeks with "Black & Yellow." February 5: Wiz Khalifa topped the Billboard Rap Songs chart for 2 weeks with "Black & Yellow." February 19: Wiz Khalifa topped the Billboard Hot 100 chart for 1 week with "Black & Yellow." The song also hit the Top 10 in the UK, Australia, Belgium, Finland, and Canada. February 26: Wiz Khalifa topped the Billboard Rhythmic Top 40 chart for 1 week with "Black & Yellow." March 5: Wiz Khalifa topped the Billboard R&B/Hip-Hop Singles Sales chart for 4 weeks with "Black & Yellow." March 29: Wiz Khalifa released Rolling Papers (available for download at iTunes and Amazon-mp3). The LP hit the Top 10 in the US and Canada. April 9: Wiz Khalifa topped the Billboard Digital Tracks chart for 1 week, Rap Digital Songs chart for 1 week, and R&B/Hip-Hop Digital Songs chart for 1 week with "No Sleep." April 16: Wiz Khalifa topped the Billboard R&B/Hip-Hop Albums chart for 3 weeks and Rap Albums chart for 5 weeks with Rolling Papers. April 16: Wiz Khalifa hit the ARC Weekly Top 40 with "Roll Up." June 21: Rolling Papers was certified gold. June 26: Wiz Khalifa won a BET Award for Best New Artist. August 13: Wiz Khalifa hit the ARC Weekly Top 40 helping out Tinie Tempeh with "Till I'm Gone." August 28: Wiz Khalifa was nominated for a MTV Video Music Award for Best New Artist. September 10: Wiz Khalifa hit the ARC Weekly Top 40 with "No Sleep." October 29: Wiz Khalifa hit the ARC Weekly Top 40 helping out T-Pain and Lily Allen with "5 O'Clock." October 29: Wiz Khalifa topped the Billboard R&B/Hip-Hop Digital Songs chart for 1 week with Snoop Dogg and Bruno Mars with "Young, Wild & Free." November 12: Wiz Khalifa topped the Billboard R&B/Hip-Hop Digital Songs chart for 4 weeks helping out T-Pain and Lily Allen with "5 O'Clock." November 20: Wiz Khalifa was nominated for an American Music Award for Favorite New Artist. December 3: Wiz Khalifa hit the Top 10 helping out T-Pain and Lily Allen with "5 O'Clock." December 13: Wiz Khalifa and Snoop Dogg released the soundtrack collaboration for Mac & Devin Go To High School (available for download at iTunes and Amazon-mp3). December 17: Wiz Khalifa hit the ARC Weekly Top 40 with Snoop Dogg and Bruno Mars with "Young, Wild & Free." The song hit the Top 10 in Australia, the Netherlands, and New Zealand. January: A lawsuit was filed against Wiz Khalifa by a Pittsburgh rapper for over $2 million claiming "Black & Yellow" is a rip-off of his songs "Pink N Yellow." February 12: Wiz Khalifa was nominated for 2 Grammy Awards for Best Rap Performance and Best Rap Song ("Black & Yellow"). February 25: Wiz Khalifa hit the Top 10 with Snoop Dogg and Bruno Mars with "Young, Wild & Free." April 28: Wiz Khalifa hit the ARC Weekly Top 40 with Maroon 5 with "Payphone." May 5: Wiz Khalifa hit topped the Billboard Digital Songs chart with Maroon 5 with "Payphone." May 19: Wiz Khalifa hit the Top 10 with Maroon 5 with "Payphone." June 30: Wiz Khalifa hit the ARC Weekly Top 40 with "Work Hard, Play Hard." June 30: Wiz Khalifa topped the UK singles chart with Maroon 5 with "Payphone." July 3: Wiz Khalifa could be heard on the Chris Brown LP Fortune on the track "Till I Die." July 7: Wiz Khalifa hit #1 for 3 weeks on the ARC Weekly Top 40 with Maroon 5 with "Payphone." July 14: Wiz Khalifa topped the Billboard Pop chart and Radio chart with Maroon 5 with "Payphone." July 14: Wiz Khalifa topped the UK singles chart with Maroon 5 with "Payphone." September 6: The video for "Payphone" with Maroon 5 was nominated for a MTV Video Music Award for Best Pop Video. December 4: Wiz Khalifa released O.N.I.F.C. (available for download at iTunes and Amazon.mp3). December 11: Wiz Khalifa could be heard on The Game LP Jesus Piece on the track "Celebration." December 22: Wiz Khalifa topped the Billboard Digital Albums chart, R&B/Hip-Hop Albums chart, and Rap Albums chart with O.N.I.F.C. February 10: Wiz Khalifa was nominated for 2 Grammy Awards including Best Pop Duo/Group Performance ("Payphone") and Best Rap Song (awarded to the songwriter) ("Young, Wild & Free"). June 15: Wiz Khalifa hit the ARC Weekly Top 40 with Sean Kingston and Chris Brown with "Beat It." June 18: Wiz Khalifa could be heard on the Kelly Rowland LP Talk A Good Game on the track "Gone." September 30: Wiz Khalifa could be heard on the Nelly LP M.O. on the track "My Chick Better." January 26: Wiz Khalifa was nominated for a Grammy Award for Best Rap/Sung Collaboration ("Remember You" with The Weeknd). August 19: Wiz Khalifa released Blacc Hollywood. August 24: The video for "We Dem Boyz" was nominated for a MTV Video Music Award for Best Hip-Hop Video. September 6: Wiz Khalifa topped the Billboard 200 LP chart, Digital Albums chart, R&B/Hip-Hop Albums chart, and Rap Albums chart with Blacc Hollywood. February 8: Wiz Khalifa was nominated for 2 Grammy Awards including Best Rap Song (awarded to the songwriter) ("We Dem Boyz") and Best Rap Album (Blacc Hollywood). 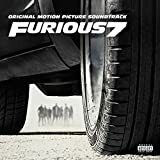 March 17: Wiz Khalifa could be heard on the Furious 7 soundtrack with the tracks "See You Again" and "Go Hard Or Go Home." April 18: Wiz Khalifa hit the ARC Weekly Top 40 with help from Charlie Puth with "See You Again." April 18: Wiz Khalifa topped the Billboard Digital Songs chart with help from Charlie Puth with "See You Again." April 25: Wiz Khalifa topped the Billboard Hot 100 chart, R&B/Hip-Hop Songs chart, and Rap Songs chart with help from Charlie Puth with "See You Again." April 25: Wiz Khalifa topped the UK singles chart with help from Charlie Puth with "See You Again." May 2: Wiz Khalifa performed See You Again" on Saturday Night Live. May 9: Wiz Khalifa hit the Top 10 with help from Charlie Puth with "See You Again." May 23: Wiz Khalifa hit #1 for 4 weeks on the ARC Weekly Top 40 with help from Charlie Puth with "See You Again." May 30: Wiz Khalifa topped the Billboard Pop Songs chart with help from Charlie Puth with "See You Again." June 6: Wiz Khalifa topped the Billboard Radio Songs chart with help from Charlie Puth with "See You Again." August 30: The video for "See You Again" was nominated for 2 MTV Video Music Awards including Best Hip-Hop Video and Best Collaboration. November 22: Wiz Khalifa was nominated for 2 American Music Awards for Single of the Year and Collaboration of the Year ("See You Again"). December 31: Wiz Khalifa topped the Billboard 2015 Year-End Chart Toppers with the Top R&B/Hip-Hop Song, Top R&B/Hip-Hop Digital Song, Top Rap Song, and Top Rap Digital Song ("See You Again" with Charlie Puth). February 15: Wiz Khalifa was nominated for 3 Grammy Awards including Song of the Year (awarded to the songwriter), Best Pop Duo/Group Performance, and Best Song Written for Visual Media (awarded to the songwriter) ("See You Again"). June 20: O.N.I.F.C. was certified platinum. June 22: Rolling Papers was certified 2x platinum and Blacc Hollywood was certified gold. July 15: Wiz could be heard on the Snoop Dogg LP Coolaid on the tracks "Oh Na Na" and "Kush Ups." August 20: Wiz hit the ARC Weekly Top 40 with help from Lil Wayne, Imagine Dragons, Logic, Ty Dolla Sign and X Ambassadors with "Sucker For Pain." August 27: Wiz topped the Billboard Rap Songs chart with help from Lil Wayne, Imagine Dragons, Logic, Ty Dolla Sign and X Ambassadors with "Sucker For Pain." October 14: Wiz could be heard on the JoJo LP Mad Love on the track "F*** Apologies." 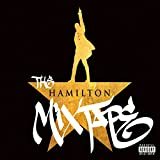 December 2: Wiz could be heard on The Hamilton Mixtape compilation on the track "Washington By Your Side." April 14: Wiz could be heard on the soundtrack for The Fate Of The Furious on the track "Gang Up." July 13: Wiz released Rolling Papers 2. March 13: Blacc Hollywood was certified platinum. April 19: Wiz released Fly Times, Vol. 1: The Good Fly Young. Tracks: "Intro" - "Pittsburgh Sound" - "Bout Mine" - "I Choose You" - "Damn Thing" - "Keep The Converstion" (featuring Boaz) - "Stay In Your Lane" - "Stand Up" (featuring Chevy Woods) - "Too Late" - "I'm Gonna Ride" - "Gotta Be A Star" (Remix featuring Johnny Juliano & S. Money) - "Let 'Em Know" - "Sometimes" (featuring Vali Porter) - "Locked & Loaded" (featuring Chevy Woods) - "Burn Somethin'" - "Crazy Since The 80's" - "History In The Making / Never Too Late"
Tracks: "Bout Y'all" (featuring Josh Everette) - "Chewy" - "Friendly" (featuring Currensy) - "Goodbye" (featuring Johnny Juliano) - "Hit Tha Flo" - "Lose Control" - "Moola & The Guap" (featuring Lavish & L.C.) - "Studio Lovin'" - "Right Here" (featuring Josh Everette) - "Red Carpet (Like A Movie)" (featuring Chevy Woods) - "Superstar" - "Take Away" - "This Plane" - "Who I Am" - "Young Boy Talk"
Tracks: "When I'm Gone" - "On My Level" (featuring Too Short) - "Black & Yellow" - "Roll Up" - "Hopes & Dreams" - "Wake Up" - "The Race" - "Star Of The Show" (featuring Chevy Woods) - "No Sleep" - "Get Your S***" - "Top Floor" - "Fly Solo" - "Rooftops" (featuring Currensy) - "Cameras"
Limited Edition includes: "Middle Of You" - "Stoned"
Deluxe Edition includes: "Taylor Gang"
Tracks: "Intro" - "Paperbond" - "Bluffin'" - "Let It Go" - "The Bluff" (featuring Cam'ron) - "Work Hard, Play Hard" - "Got Everything" (featuring Courtney Noelle) - "Fall Asleep" - "It's Nothin'" (featuring 2 Chainz) - "Rise Above" (featuring Pharrell) - "Initiation" - "Up On It" - "No Limit" - "The Plan" (featuring Juicy J) - "Remember You" (featuring The Weeknd) - "Medicated"